Grand Parade Investments (GPI) has appointed two new directors - Mark Bowman and Ronel van Dijk - after a vote at a special general meeting in Cape Town on Wednesday night. 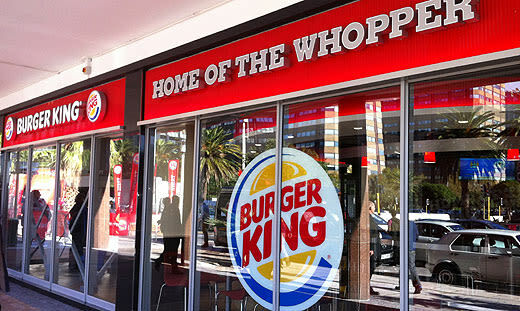 GPI is the franchisee of Burger King, Dunkin’ Donuts and Baskin-Robbins in Southern Africa. The appointments follow a drawn-out battle between shareholders and the board. Bowman is a former SABMiller executive, and Van Dijk used to be with Spur. Last Wednesday (28 November) the Johannesburg Stock Exchange (JSE) published a list of gripes from institutional investors who wanted to oust Grand Parade Investments’ incumbent board. The most critical issue pertained to the collapse in Grand Parade’s share-price after it shifted its focus from gambling to fast food. Another issue was the remuneration of directors and the churn of CEOs and CFOs. The JSE issued a directive to Grand Parade Investments to communicate the grievances to shareholders. Grand Parade, however, failed to adhere to the instruction, the JSE said. The Money Show’s Bruce Whitfield interviewed Mohsin Tajbhai (GPI COO), Ricco Friedrich (portfolio manager, Denker Capital) and Wilhelm Hertzog (analyst, Rozendal Partners). The fund managers suggested the four nominees… We identified Mark Bowman and Ronel van Dijk… it’s a shared outcome… [Fund managers] were adamant to get four… It seems like it was all or nothing for them… it signalled hostile intent… The ding-dong is over, I hope we can focus on the ching-ching now. The Money Show’s Bruce Whitfield interviews André Visser, General Manager at the JSE. Defence Force Minister Nosiviwe Mapisa-Nqakula has put together a team which will help local authorities on the ground.